The Hepworth model’s outer form is fairly accurate, even if the front-facing spandrel is too thin. The interior was not captured well, so I did a rough approximation of the wall thickness and the few interior details. There are seven castings of this piece around the world. They are in the Barbara Hepworth Museum (Tate St Ives), the Hirshhorn Museum and Sculpture Garden in Washington D.C., the University of Exeter, the J. Paul Getty Museum, and the San Diego Museum of Art. I’ve seen three of them, but I grew up seeing the San Diego cast, surrounded by other abstract sculptures, just outside the oddly columned museum breezeway. 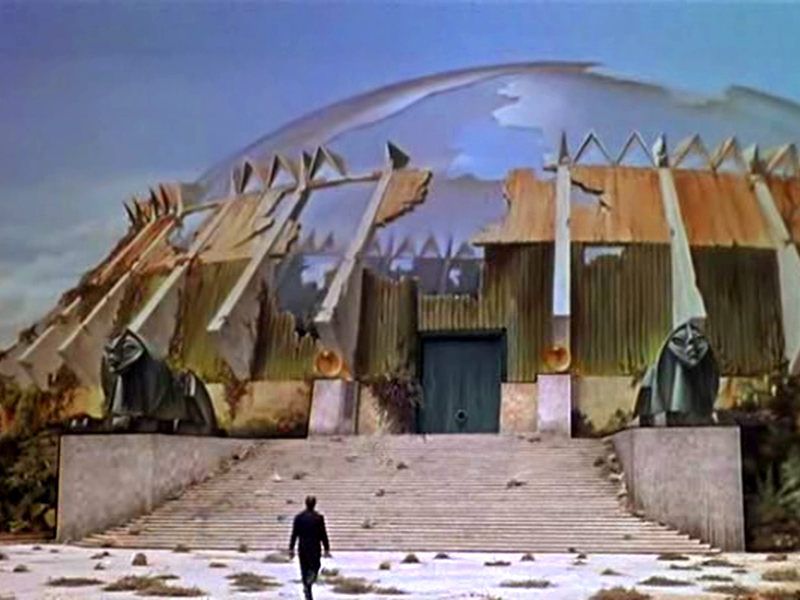 This piece, in particular, and that setting, seem to me to be perfect artifacts of futures-past. I always took this piece as ominous and haunting–the kind of artwork that could have appeared in the 1960 adaptation of Wells’ The Time Machine: an idol from 50,000 years in the future, long abandoned and mysterious when viewed from yet another 100,000 years further in the future. About nine feet tall, this hollowed-out bronze sculpture is a commanding presence. It is not recognizable as a specific human form, but the narrowing shape suggests the contours of a head and body. Although the piece can be viewed from all sides, the carved surface is richer and more textured from the front than from the back. 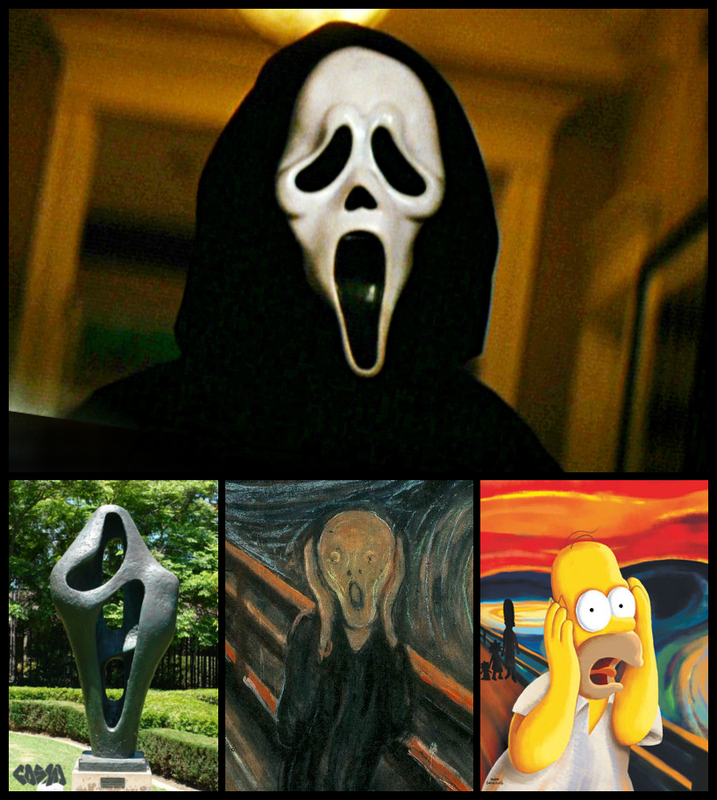 The sculpture’s shrouded or veiled appearance and dark, almost leathery surfaces, create a slightly foreboding quality. Barbara Hepworth often pierced or punctured her forms, creating a play of positive and negative space. Here, the four openings accentuate the sculpture’s relation to the surrounding landscape–an interplay reinforced by the work’s title. 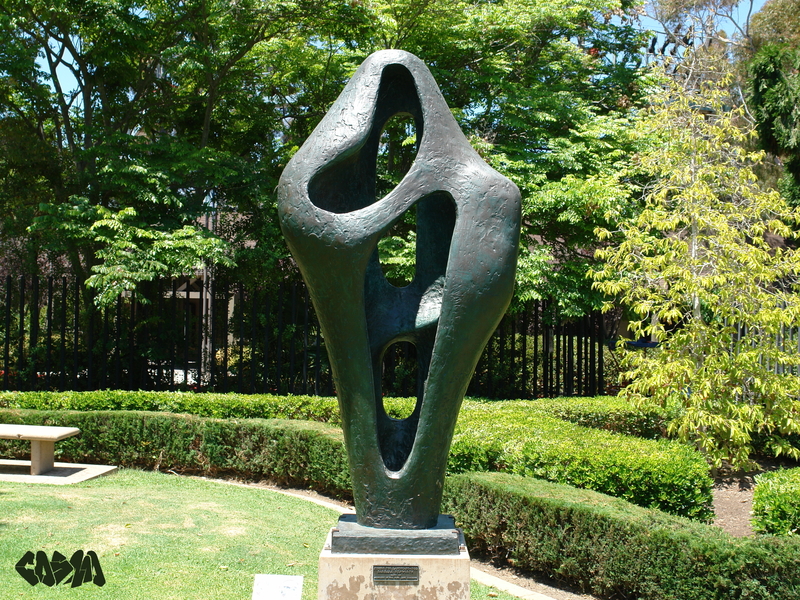 To create this sculpture, Hepworth began with an aluminum armature. Layer upon layer of plaster was piled onto this sturdy structure. When the plaster dried, Hepworth then directly carved into the hard surface, working and reworking it until she reached a final form. The form was then cast in bronze in two parts. 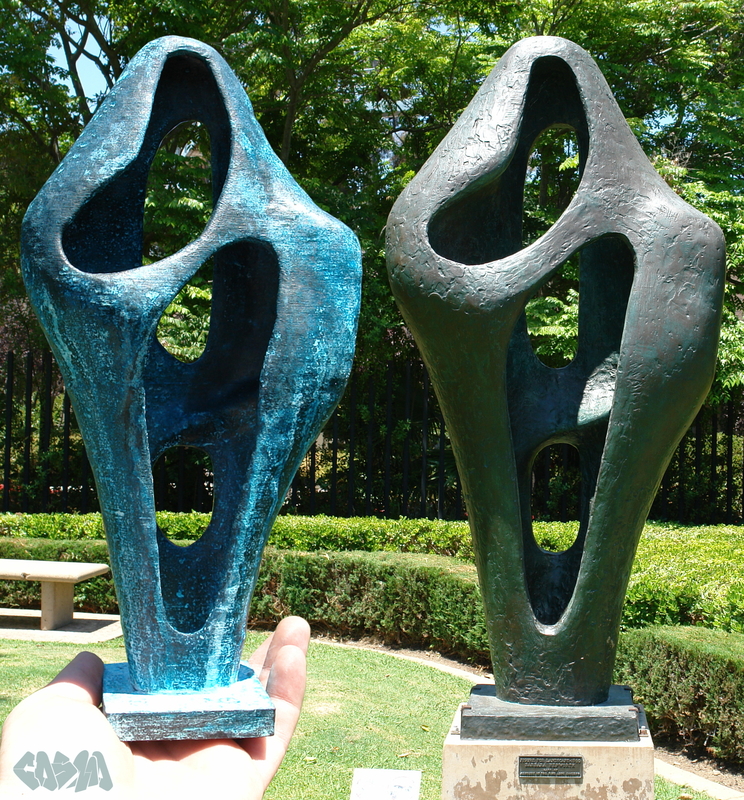 Hepworth preferred working in the open air to ensure that when installed out-of-doors, her sculptures would respond to the light in precisely the way she intended. The narrator’s freakish delivery and the nightmarish music are completely in keeping with my theory that some of Hepworth’s work is meant to be viewed as other-worldy and dystopian. The video surely depicts a prelude to ritual human sacrifice. Creepy stuff. 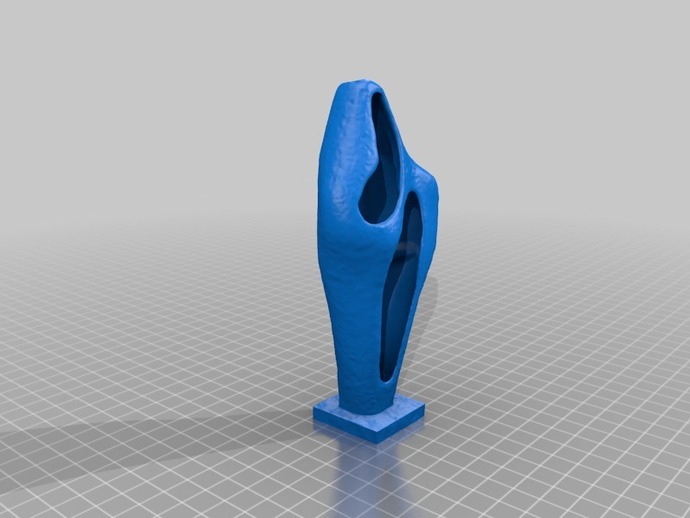 This entry was posted in 3D Scanning, Alternate Reality Patinas. Bookmark the permalink.